I’ve been slowly trying to catch up with what happened at //build via the videos on Channel9 focusing mainly on the topics around Windows 10 UWP and Mixed Reality with a sprinkling of what’s going on in .NET, C# and some of the pieces around Cognitive Services, identity and so on. Given that //build was a 3 day conference, it generates a video wall worth of content which then takes a very long time to try and catch up with and so I expect I’ll still be doing some of this catching up over the coming weeks and months but I’m slowly making progress. which talks about some of the changes that have been made in the Creators Update around breaking up UWP packages into pieces such that they can be installed more intelligently, dynamically and flexibly than perhaps they can today. How packages have always been able to be broken into pieces containing different types of resources using the “Modern Resource Technology” (MRT) such that (e.g.) 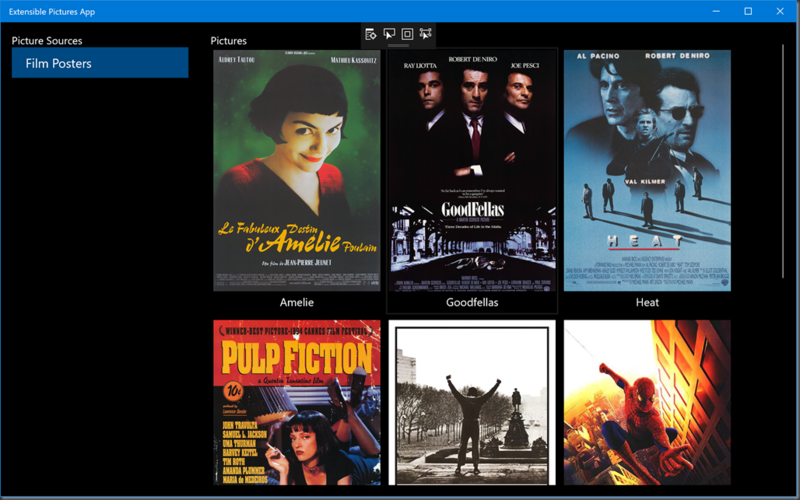 only the resources that are relevant to the user’s language or scale or DirectX level are downloaded for the app. How packages in Creators Update can be broken apart into “Content Groups” and partitioned into those which are required for the application to start up and those which can be deferred and downloaded from the Store at a later point in order to improve the user’s experience. There are APIs to support the developer being aware of which parts of the package are present on the system, to monitor and control download priority, etc. 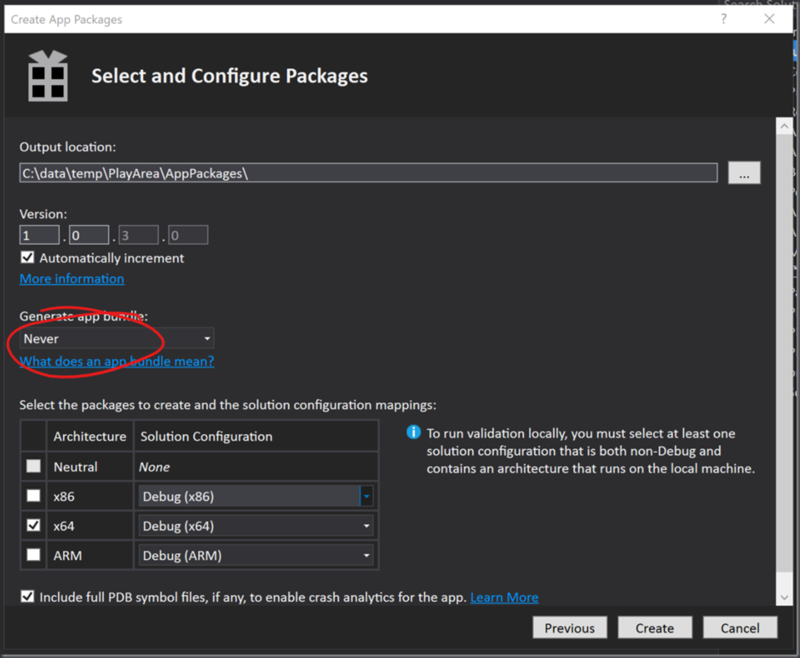 How optional packages can be authored for Creators Update such that one or more apps can optionally make use of a separate package from the Store which can install content (and (native) code) into their application. 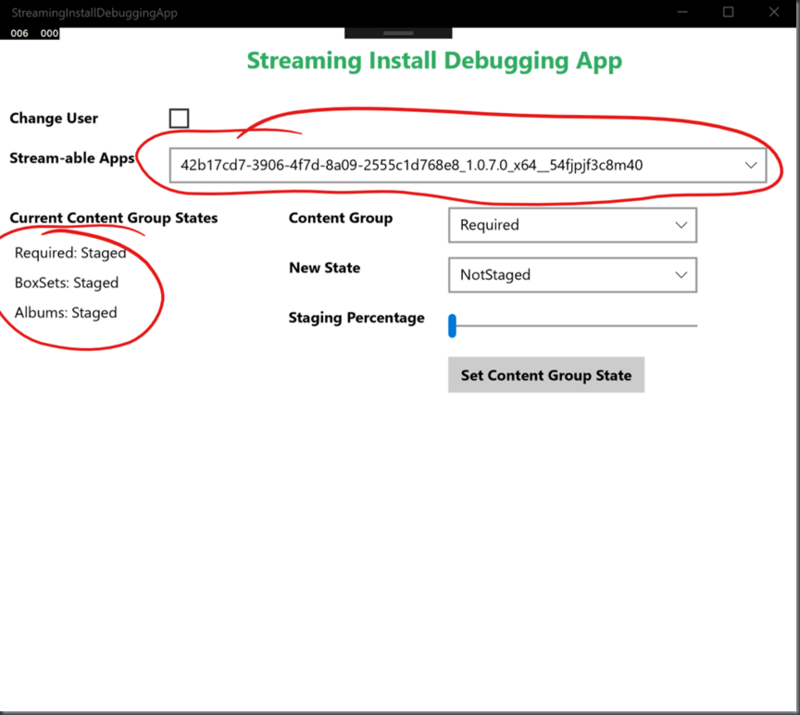 What is UWP Streaming Install? and there’s more generally on the App Installer Blog and additional interesting pieces in that //build session around possible future developments and how Microsoft Office ™ is making use of these pieces in order to be deliverable from the Windows Store. The idea of ‘streaming installations’ seemed immediately applicable to me but I need to spend some more time thinking about optional packages because I was struck by some of the similarities between them and app extensions (more here) and I haven’t quite figured out the boundaries there beyond the ability of an optional package to deliver additional code (native) to an application which extensions can’t do as far as I’m aware. Having got my head around streaming installations, I wanted to experiment with them and that’s where the rest of this post is going. I wrote this tiny little “app” around the time of the UK “Future Decoded” show in late 2016 in order to demonstrate app extensions. and there is 1 set of pictures built in – some film posters but I have two more sets of pictures under groupings of ‘Albums’ and ‘BoxSets’. This was pretty easy to put together using app extensions and it’s similar to what I wrote up in this blog post about app extensions where I used extensions and App Services together to build out a similarly extensible app. So, having this code kicking around it seemed like an obvious simple project that I could use to try out streaming installations on Creators Update. 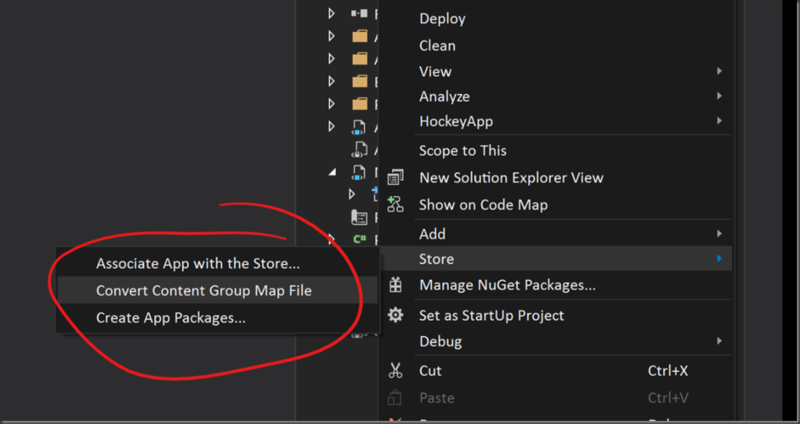 at the time of writing although I ultimately let Visual Studio build the content group map and only used makeappx as part of experimenting. and after a couple of initial gremlins caused by me, that seemed to work out fine. 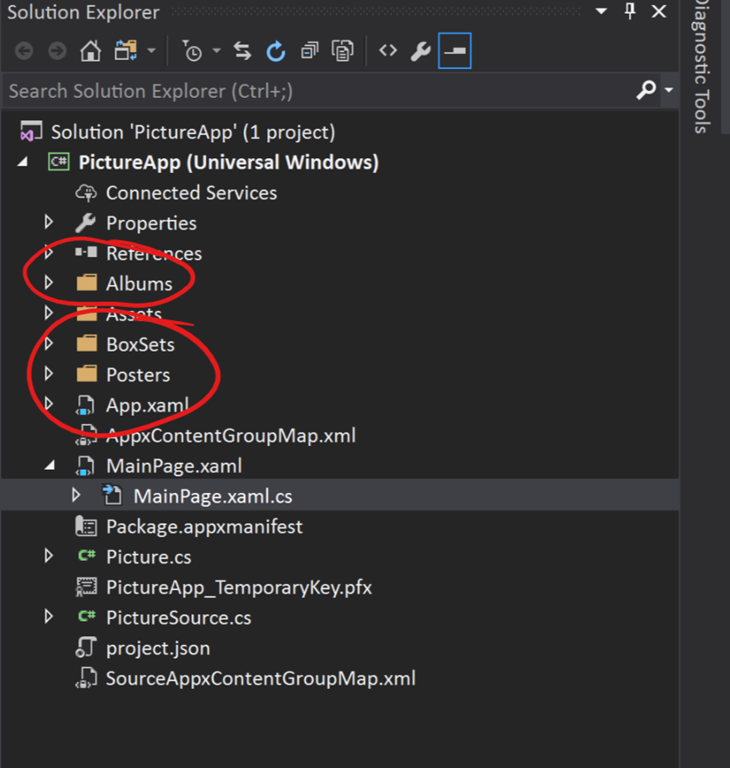 If the application is going to be installed “in pieces” then my code is going to have to adapt such that it can dynamically load up folders of pictures as they appear post-install. // Handle any streamed packages that are already installed. // to be sure that the content group is present. // I really want the *content group name*. 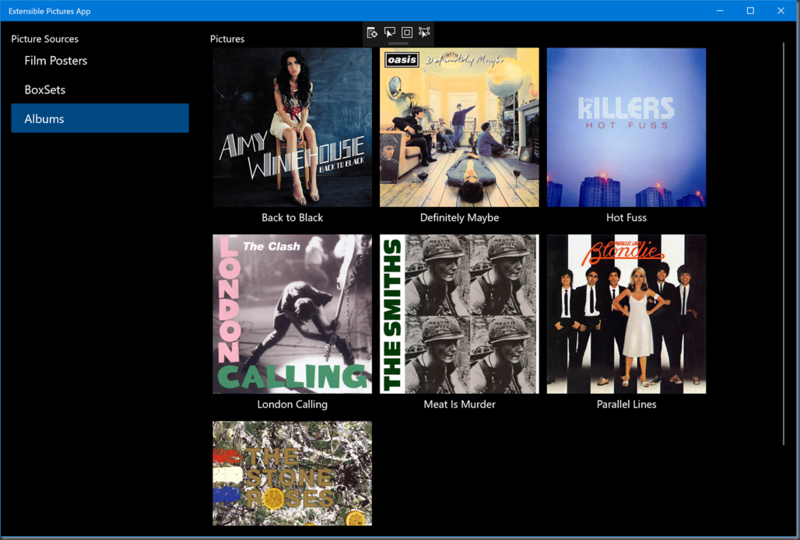 and this is making use of APIs that come from either SDK 14393 or 15063 on the PackageCatalog class in order to check what content groups are available and if I find that my Albums/BoxSets groups are available then I have code which goes and adds all the pictures from those folders to the collections which live behind the UI. How to try this out? 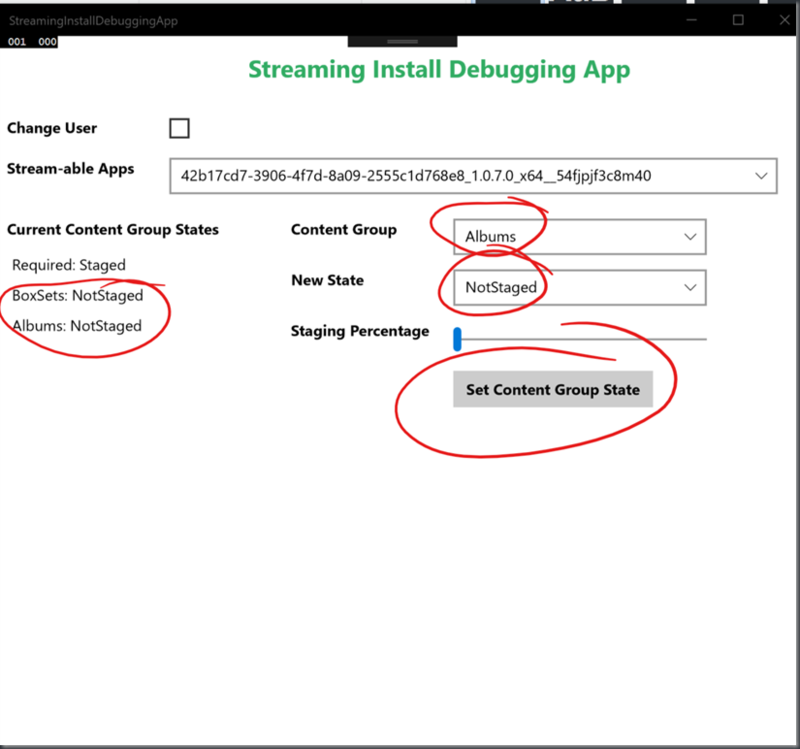 In the //build session, there’s a few options listed around how you can test/debug a streaming install without actually putting your application into the Store. 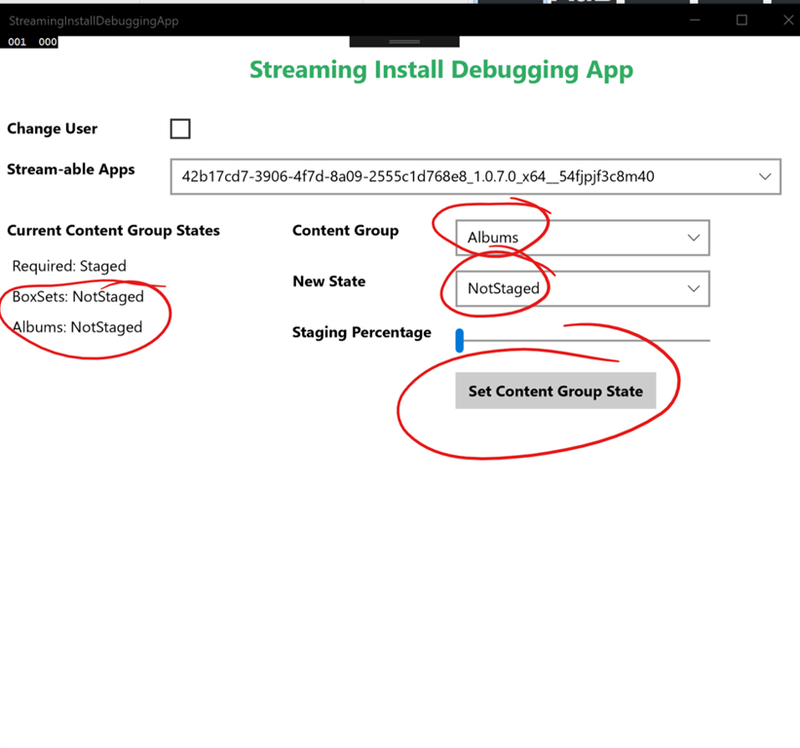 One method makes use of the PackageCatalog APIs to programmatically change the installation status of the content groups, another makes use of the Windows Device Portal (although I’m unsure as to whether this one is implemented yet) and there’s an option around using the regular PowerShell add-appxpackage command. 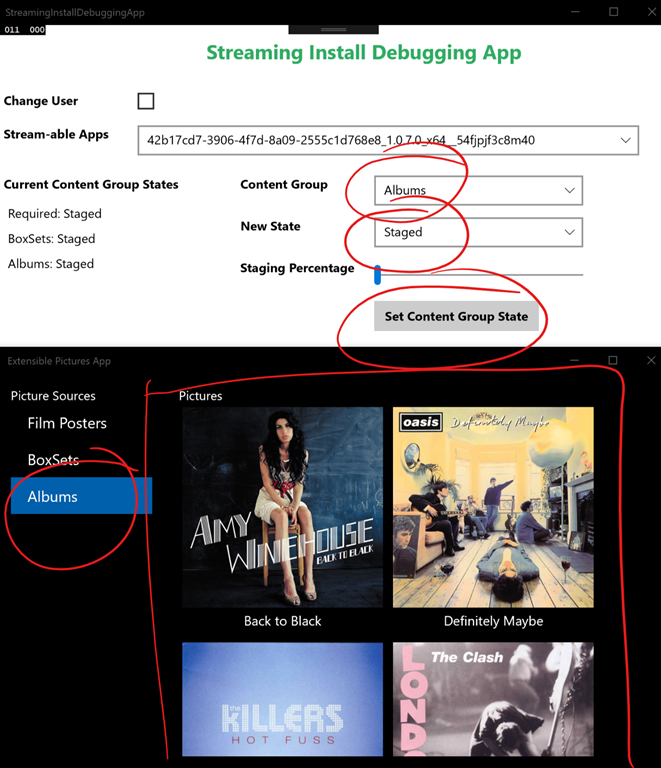 I also found it interesting to go and visit the actual folder on disk where the application is installed and to see what the Albums/BoxSets folders representing the ‘automatic’ content groups look like. so there are “marker files” present in the folders and so (as advised in the //build session) code would have to be careful not to confuse the presence of the folders/files with the content group’s installation status. 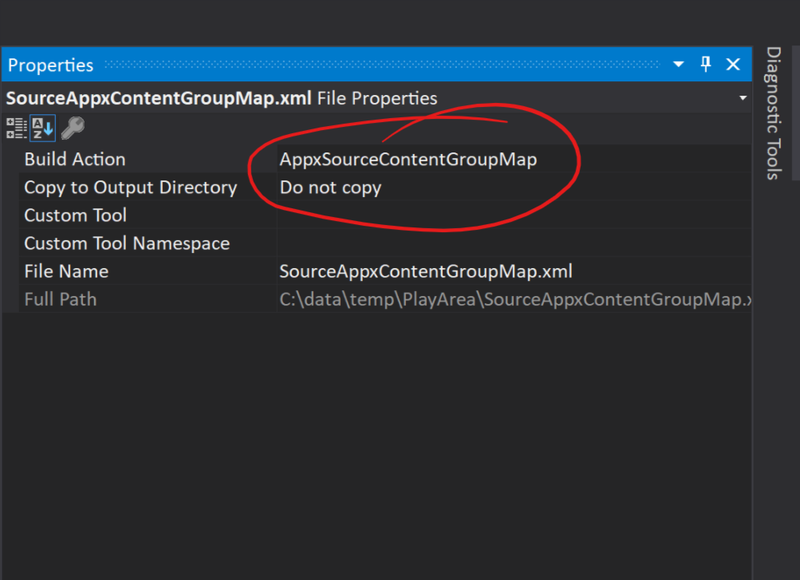 Which is the exact same command but without the flag (what happens is that the platform will see that the app is already installed and will only stage the files that are missing). 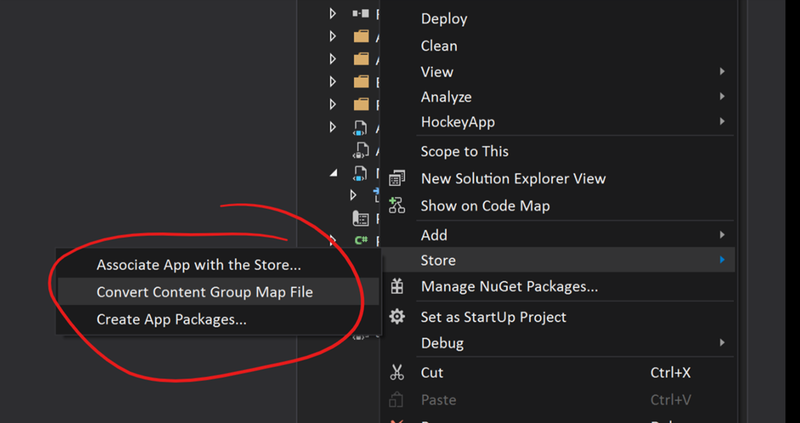 and so, sure enough, my code was being called here as the package started to install but that code wasn’t working because it was confusing the content group name with the application’s full package name. // it for the moment for debugging. 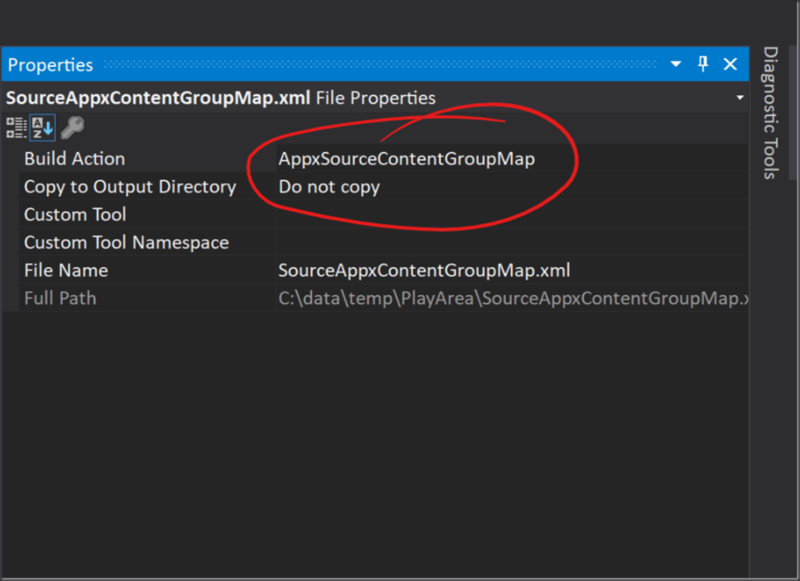 The Add-AppxPackage command would still fail when I tried to add the non-required content groups to the already running app. 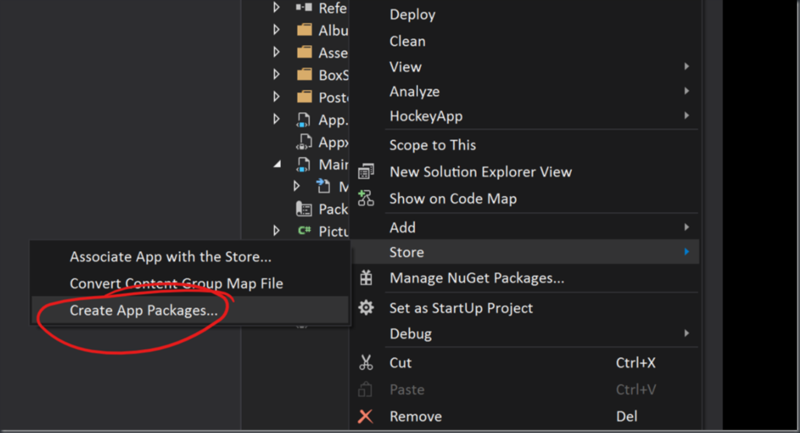 From the debugger, I could see that the PackageInstalling event was still firing but the PackageContentGroupStaging event wasn’t. 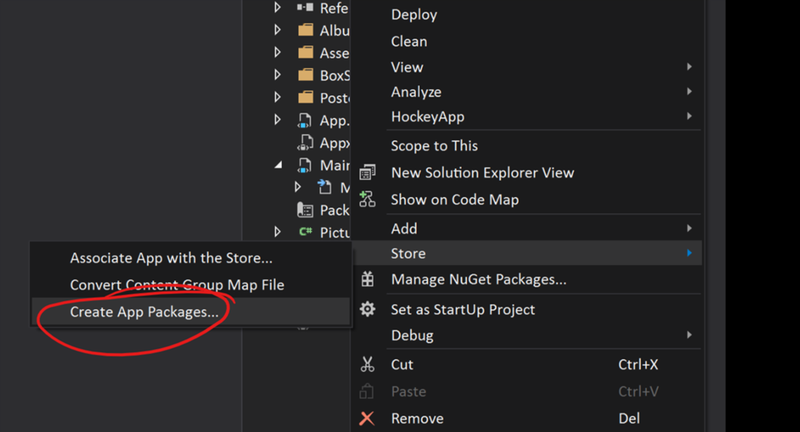 I suspect that the Add-AppxPackage command is quitting out between those 2 stages and so the first event fires and the second doesn’t. This means that I haven’t been able to use this method just yet to test what happens when the app is running and the additional content groups are installed. 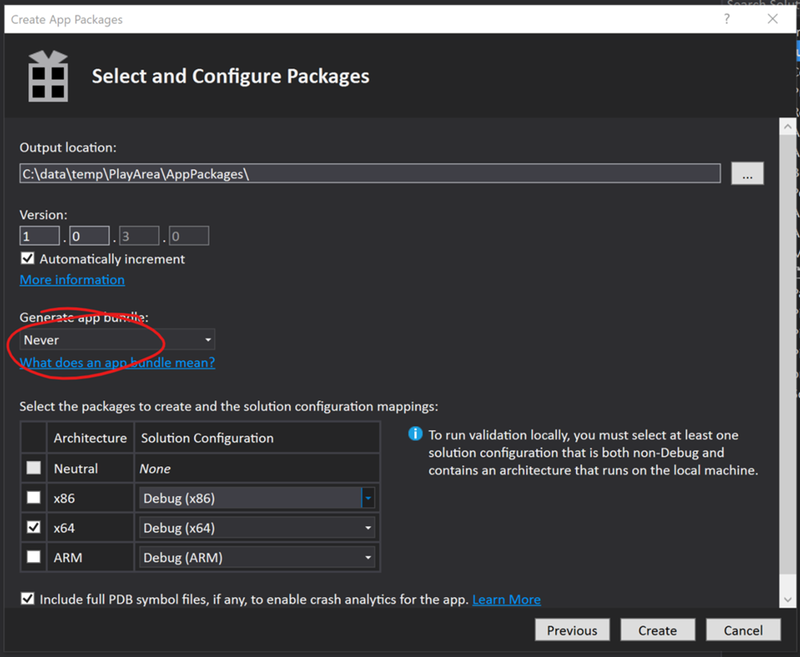 and so that shows that things are working across app executions but it doesn’t test out how they work when the application is up and running which might well be the case if the user gets the app from Store, runs it and then additional packages show up over the first few minutes of the user’s session with the app. 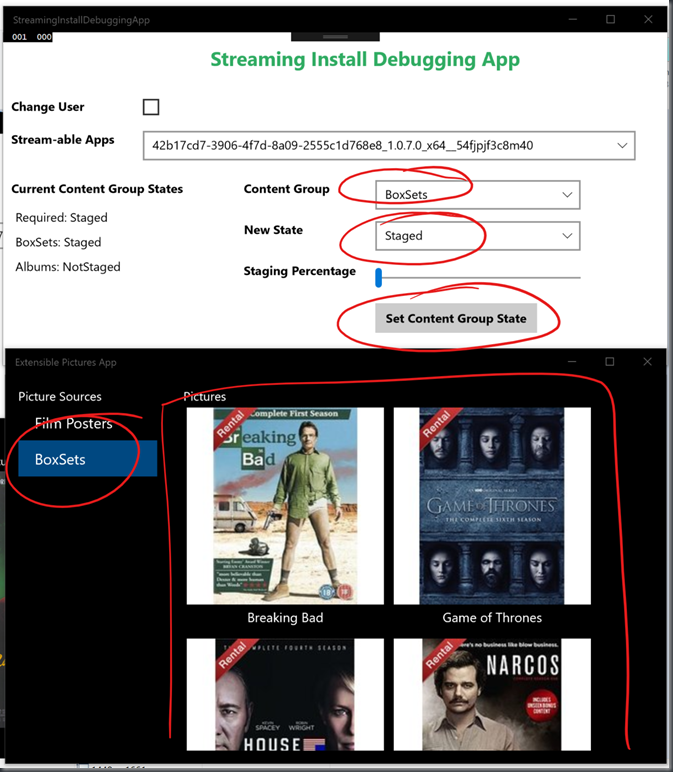 At this point, I went back to this blog post and tried out the steps under the heading of “Using the Streaming Install Debugging App”. 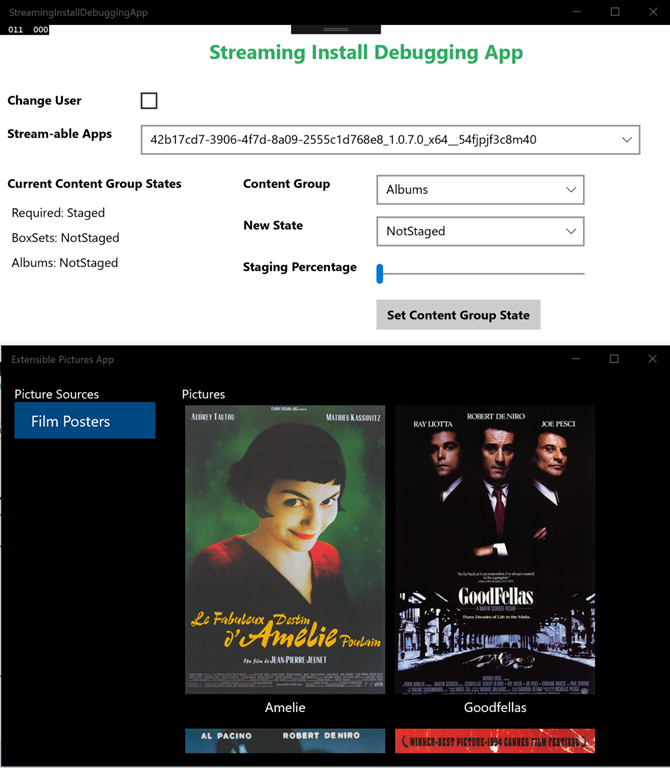 This involves going off to download this app from github which then uses the APIs to manipulate the installation status of the content groups within my app. 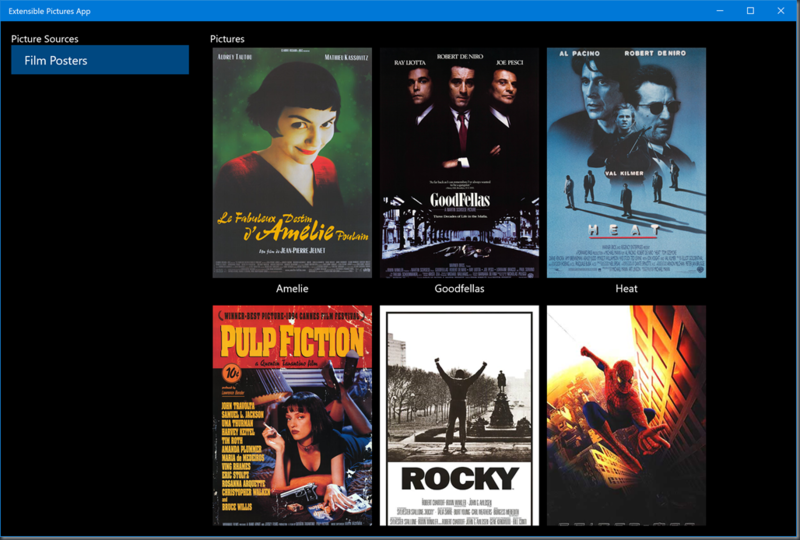 I really like these new sorts of capabilities coming to UWP packaging and the APIs here seem to make it pretty easy to work with although, clearly, you’d need to give quite a lot of early-stage thought to which pieces of your application’s content should be packaged into which content groups. I put the code that I was playing with here onto github if you’re interested in picking up this (admittedly very simple) sample.